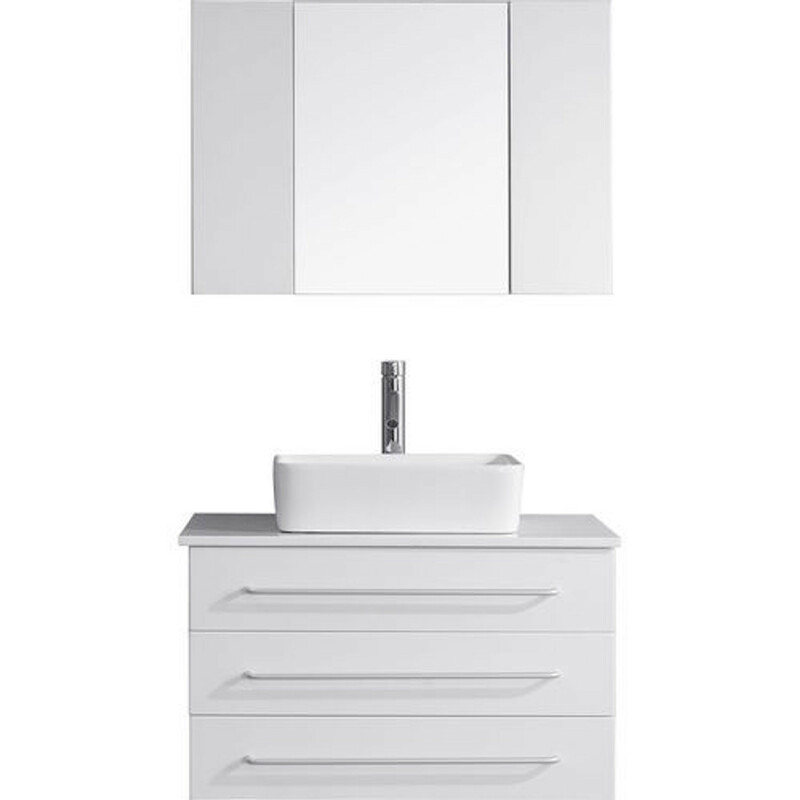 The Ivy vanity features a modern design with clean, sleek lines. This wall-mounted vanity features a body constructed of a solid, eco-friendly rubberwood coated in a rich finish of espresso, grey, or white, and completed with a beautiful set of Brushed Nickel hardware. Featuring an ample amount of storage, this magnificent 32” set also comes fully equipped with state of the art soft closing drawers to increase the life longevity by reducing stress on the cabinet. Take notice in the ultra-high gloss artificial White Stone countertop, also available in Italian Carrara White Marble, meaning that an easy clean will always be within reach. Virtu USA has taken the initiative in changing the vanity industry by adding soft closing doors and drawers to their entire product line. The premium soft-closing hardware not only increases the safety of the vanity, but also its lifetime reliability.